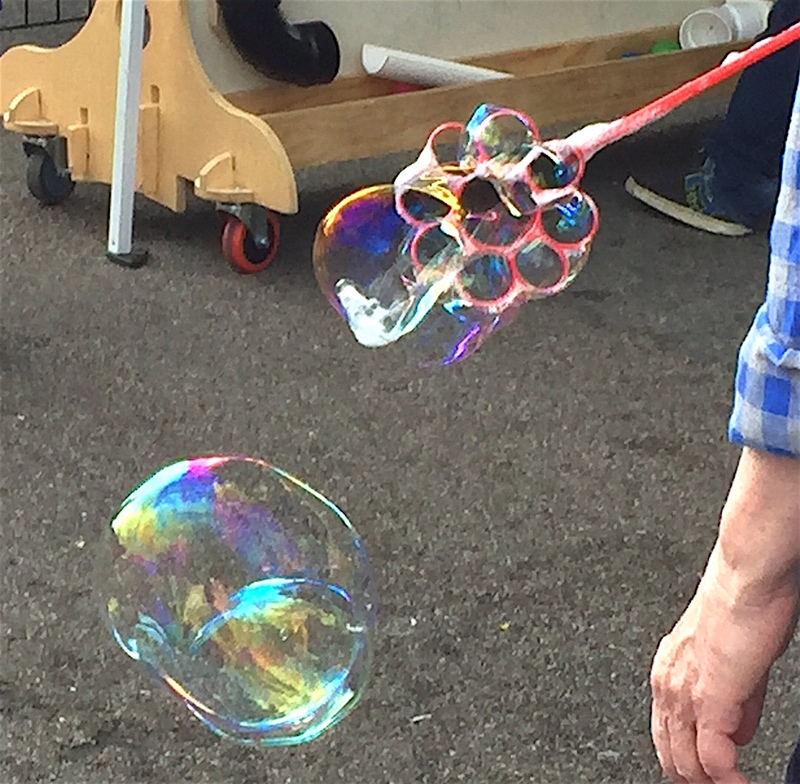 Street scene, street fair(e); May, 15, 2016. Like the Energizer Rabbit of yore and lore, the Grand Avenue Festival, aka Escondido Street Faire, just kept running and running and running. Such was the case Sunday, May 15 along downtown’s main street. “It went wonderfully,” said Rick Bauer, Escondido site manager for Kennedy & Associates, the Carlsbad company that manages the region’ top festival’s, including the Carlsbad Village Faire that went off May 7 and Vista Strawberry Festival going off May 29. “We’ve had a plethora of people here today,” Bauer continued at festival mission control, otherwise known as Maple Street Plaza. Fairgoers surged around him like salmon headed upstream. “Lots of happy people,” he added. Rick Bauer managed the venue for Kennedy & Associates street fair(e) consultants. Bauer has been involved with the Escondido fair since 2004. A street fair squad of 15 employees took care of logistics. It’s a tough, but fun job, and the hours are long. Aside from pre-planning efforts and such that last months, “I’m working 3 a.m. to 8 p.m. today,” Bauer said with a wry smile. Escondido’s fair dates to 1988. It’s 500 unique vendors and large crowds represent the second largest one-day street fair in San Diego County. Kennedy & Associates has managed the grand old party since its inception. 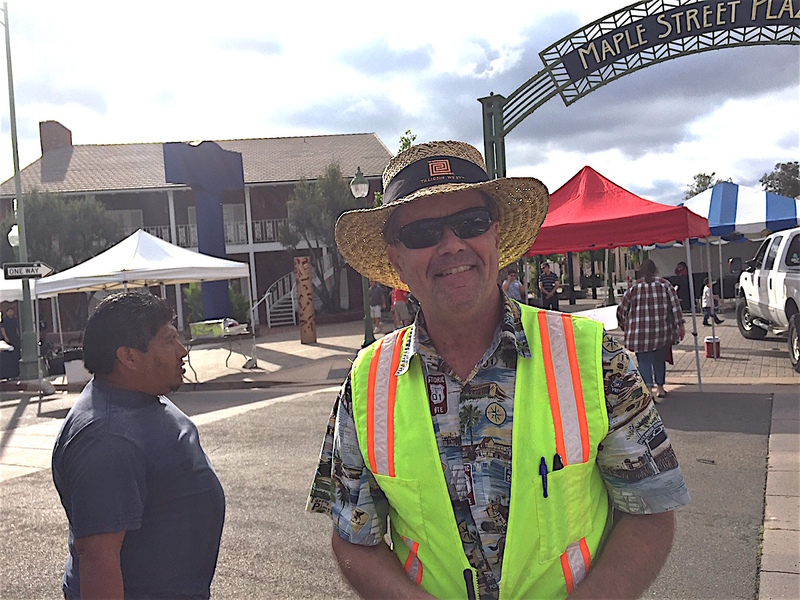 Former Marine Keith Kennedy, vendor chairman for the Carlsbad Chamber of Commerce, started his “street faire consultants,” business in 1973 for Carlsbad’s honor. Tacking the distinctive “e” to fair in all its projects ever since, the family business now manages one-day fairs at Cardiff, Encinitas, Falbrook, Oceanside, San Marcos and Vista. And, of course, Carlsbad and Escondido. Carlsbad is billed as “the largest one-day street faire anywhere” by Kennedy & Associates courtesy of its 850 vendors. Since Escondido is number two, like the old Avis car-rental commercial said, it always seems to try harder. Those efforts paid off under balmy Sunday skies with an estimated 40,000 visitors to the fair an uptick of several thousand over last October’s version that took place with rain in the air and wind in the hair. People came often and left happy. Rancho Bernardo resident Melinda Pitula brought her eager mother, Gloria Majors, all the way from Raleigh, N.C., where Majors is a retired pre-school reacher. “My grandmother is visiting from North Carolina,” Pitula said. “I love Escondido, it’s my favorite little, funky town. I love the main street feel. I come here all the time just to walk around. It just feels like home here. Vendors were enjoying the crowds and the moolah making their way. Gloria Ybarra came down from Winchester with granddaughter Jasmine Ybarra, a Vista Murrieta sophomore, and a whole bunch of yard art and solar lights. Gloria Ybarra, right, of Winchester brought granddaughter Jasmine Ybarra to help out with JR Enterprise yard art and solar light sales. 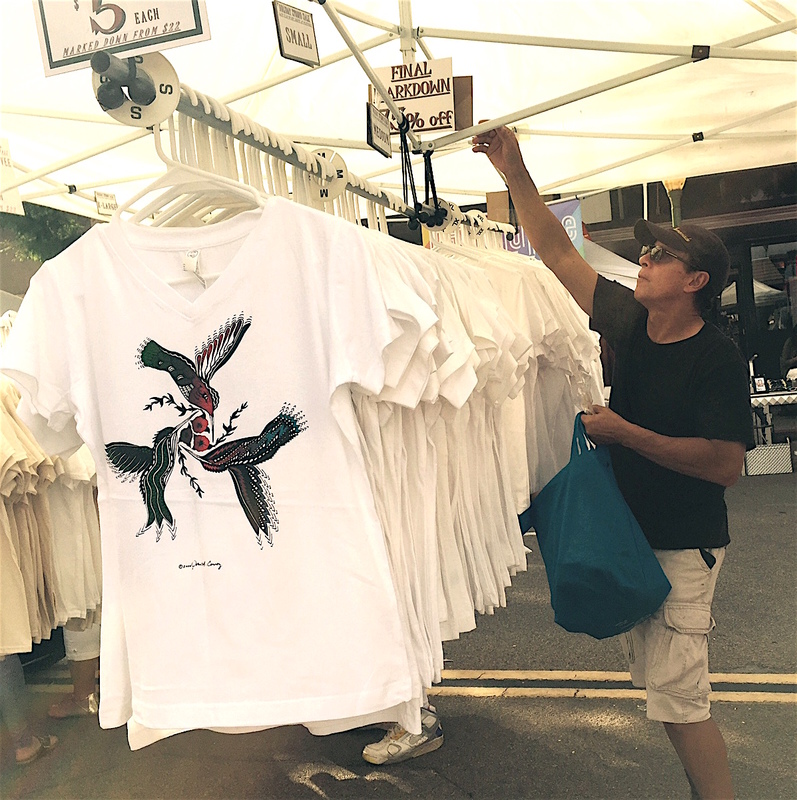 Beverly Hills artist and T-shirt designer John A. Conroy said “it’s been going very good,” and had more to share. This was his last hurrah hawking his specially designed T-shirts at any fair any time anywhere. Beverly Hills artist and T-shirt designer John A. Conroy takes care of business for the last time. While Conroy isn’t coming be back, a lot of people who wandered around Grand Avenue Sunday no doubt will be back for more. 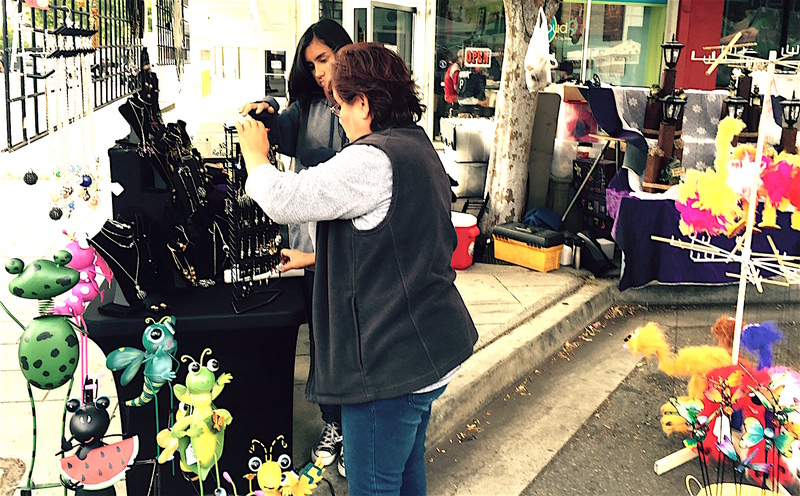 The festival staged under the auspices of the Escondido Chamber of Commerce and Downtown Business Association of Escondido is slated to return again this fall. Circle the date — Sunday, October 16 — and see you back at the fair(e). 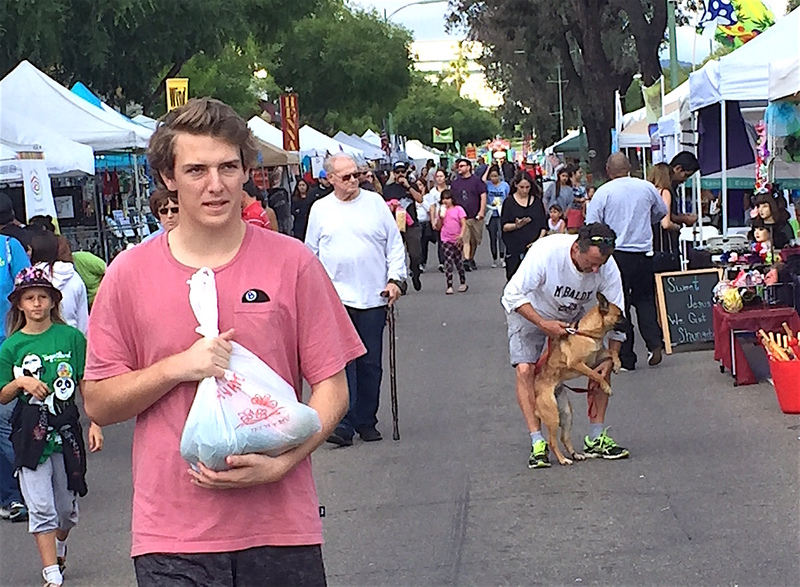 1 Comment on "Escondido Street Fair(e) keeps rolling along"